As a pioneer entrepreneur and business leader, Mr. Aoun leads by example and is a proponent of empowerment and assiduity. He inspires his companies’ directors to ever strive forward with his inspirational vision of Innovation, Performance and strong Work Ethic, meanwhile ensuring the continuity of local and regional organizations as their board member. As the Chairman & CEO, he ensures the development and execution of Tamayyaz’ strategy with a view to create value for stakeholders. Prior to founding his multiple companies, Mr. Elie Aoun was a Board Member & General Manager of Bank of Beirut SAL. During his illustrious banking career, he has had a 13-year successful spell and oversaw high-level process reengineering, business/product integration including online banking system. As a senior consultant in strategic investments, mergers and acquisitions, corporate & financial restructuring, Mr. Elie Aoun has been a key contributor to enterprise-level planning & decision making and has successfully managed; several complex post-acquisition transitions and integration phases for international companies, as well as assets & cash portfolios for individuals and corporate clients for several millions of dollars. He also headed real estate project developments and renovations. Mr. Elie Aoun participated in several conferences, seminars and workshops as a keynote speaker, trainer and lecturer throughout Lebanon, Dubai and the Gulf Region. He speaks to corporate and public audiences, including the executives and staff of the Gulf’s largest corporations on the subjects of economics, finance, business law and entrepreneurship. 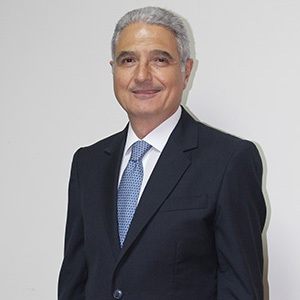 Mr. Elie Aoun holds an MBA in Management and Financial Services, a Bachelor of Science in Computer Sciences and a Bachelors Degree in Business Law. Recipient of multiple national and organizational awards for superior leadership performance & contribution, Mr. Aoun has left his mark through Tamayyaz.